Adware is a kind of crapware which creeps in your PC and injects ad code into your browser automatically. Whether you visit facebook, google or any other website, this ad code is locally added after the web page loads into your system. This becomes very frustrating for a normal user who doesn’t know how to get rid of them. The best method is , go to Control Panel–> Programs –> Programs and Features and uninstall any suspicious software and programs after which you think this problem started bugging you. After that reset your browsers. If the problem persists you can use the freeware given here. When you need to protect the device from different risk factors, it is consistency and the reputation of the product that matters. And, BitDefender is the brand that you can rely upon for the purpose. BitDefender is a renowned brand with its products having very good reputation and well-liked by the users. BitDefender Adware Removal Tool broadly scans the PC and removes adware from the system. This tool is provided free on purchase of anti-virus software from BitDefender. You can install BitDefender anti-virus on the PC and check the benefits of this absolutely free adware removal software. The BitDefender Adware Removal Tool has several remarkable qualities such as high-tech scanning technology, the capability to analyze programs and the toolbars before eliminating these from the PC, the quality to eliminate application bundle and application keylogger along with adware and other troublesome applications. If you install the BitDefender software you will feel the difference as it improves the speed and leaves almost no chance for the viruses. 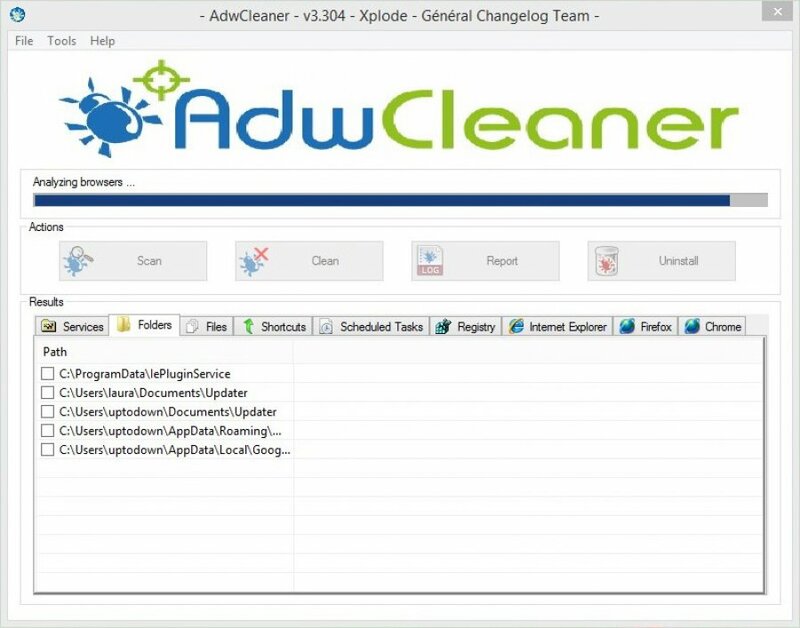 To eliminate adware, toolbars and other awful material from the computer you can use user-friendly tool AdwCleaner and ensure that your privacy or the browsing history is not wiped out. This tool has free software that ensures different kinds of unwanted tools do not hack information from the computer and protects the system from any problem. 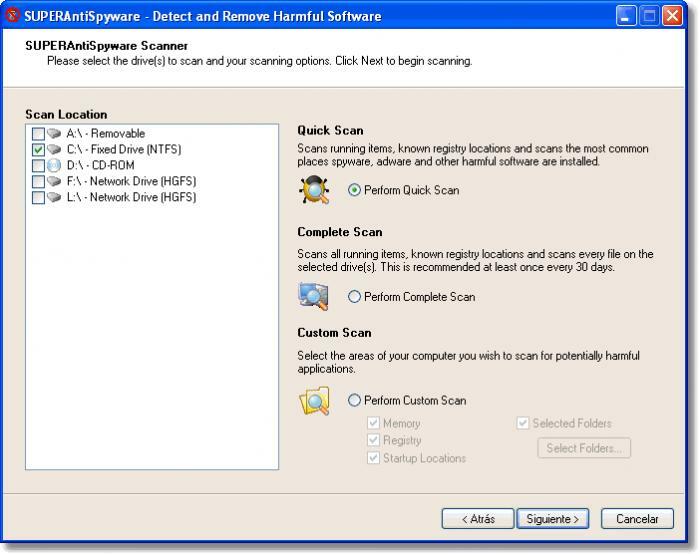 Using AdwCleaner you can detect adware from the computer and immediately eliminate these. With the help of the modern division of AdwCleaner you can choose among the programs, which one to find out for scanning. Such as if you do not want to detect Firefox-based programmes you can make a change in advanced section of AdwCleaner accordingly. Most importantly, it is of just 2.1 MB, which is too low in comparison to the facilities and functions. Considered to be among best adware eliminating tool, Malwarebytes Antimalware not only eliminates adware but also detects and destroys viruses, Trojans, Rootkits and many other harmful material that poses a danger to the system in course of visiting a website. Malwrebytes Antimalware has an inbuilt unmatched eliminating technology that protects the computer from damage. Once you install this adware be sure it will drive out the harmful tools. You will find the Malwarebytes Antimalware has really a spontaneous user interface. If you want to find an answer to not only eliminate adware but other harmful tools also, just try Malwarebytes Antimalware in place of just an Adware removing tool. You can also use the SUPERAntiSpyware to eliminate adware, Trojans, spyware, rogue and other harmful materials that pose a danger to the system. If you install SUPERAntiSpyware you will be quite assured that adware and others do not trouble anymore. SUPERAntiSpyware is a free to use the tool and it does not require many resources to eliminate the troubles in comparison to other antivirus software available. You can make it a reality to protect notifications via e-mail and off course get rid of various damaging risks. The SUPERAntiSpyware is free adware that you can use without wastage of time and the resources because in some other adware you have to install certain tools to eliminate targeted damaging adware.